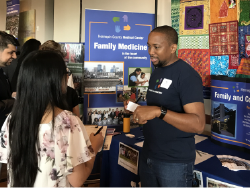 The Family Medicine Resident Experience is a half-day of education and connections for medical students. 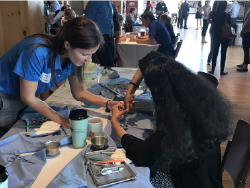 Get your “feet wet” in family medicine with hands-on procedures and visits with residency program faculty. 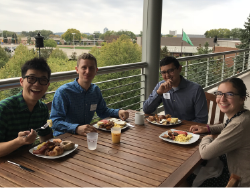 Then stay for lunch and connect with residents and faculty from the programs where you want to match over bowling or bocce or around the outdoor fire ring. Meet family medicine residency programs from Minnesota and surrounding states. Network with others who are passionate about family medicine. The Family Medicine Resident Experience is open-house style. Arrive when you want and stay as long as you want, depending on how many workshops you want to pack in. 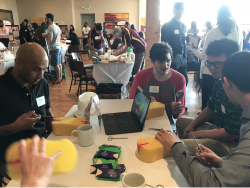 Reach family physicians from across Minnesota, practicing in both rural and urban settings. Build exposure for your organization and enhance your brand awareness. Demonstrate your support of family medicine in Minnesota. Watch here for more information closer to the event. 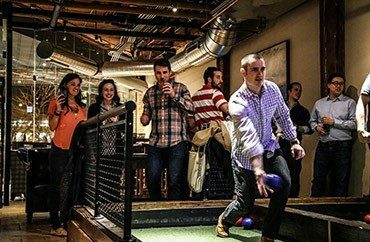 Pinstripes is a sprawling space with indoor & outdoor seating, great food, fire pit, bowling, bocce and more. Pinstripes is located in the Minneapolis suburb of Edina, just south of downtown.